Markets can tell you a lot about the society. From looking at the sellers you can tell what majorities (if any) live in the area, what the locals like to eat, what kinds of clothes they wear, how they behave and what they like to eat. I always try to visit a market wherever I am. I aim for the less known places, less touristy spots, where I can observe the people and get a feel of the city. or a colourful boomerang, made by a local artist. I had a real dilemma while figuring out which market to go to. 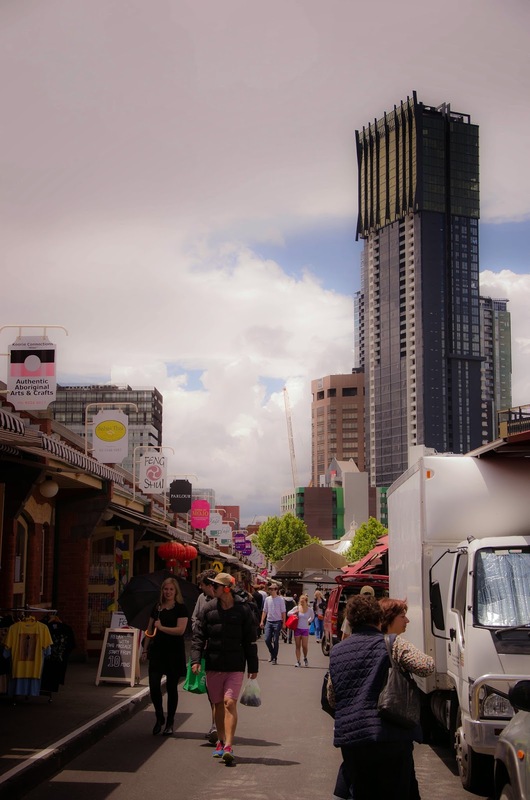 Should I go to the Rose Market, with arts and crafts, or maybe to the Camberwell Market, where I could possibly buy some second hand clothes? There were other places as well. It was hard to decide, but I finally settled on these three. 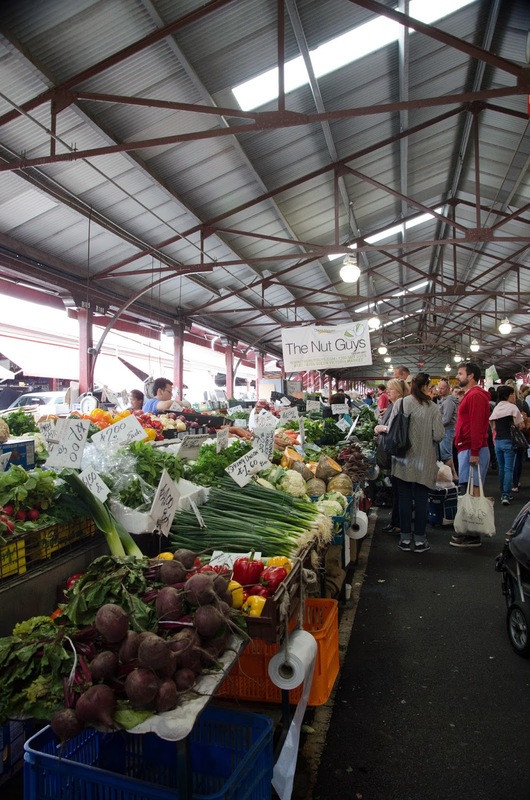 This 130 year old market is one of the many tourist attractions in the city. You can buy anything you want here: fruit, veg, meat, cheese, fresh bread, coffee, but also hair clips, leather jackets, all sorts of home decorations, and tacky souvenirs. The part with fresh produce is the most entertaining. The sellers shout out their prices and praise the goods they sell. Some of them have only a couple of onions, or carrots (for $1 each), some have shelves and tables full of colourful foods. They all display it proudly, counting on good earnings. 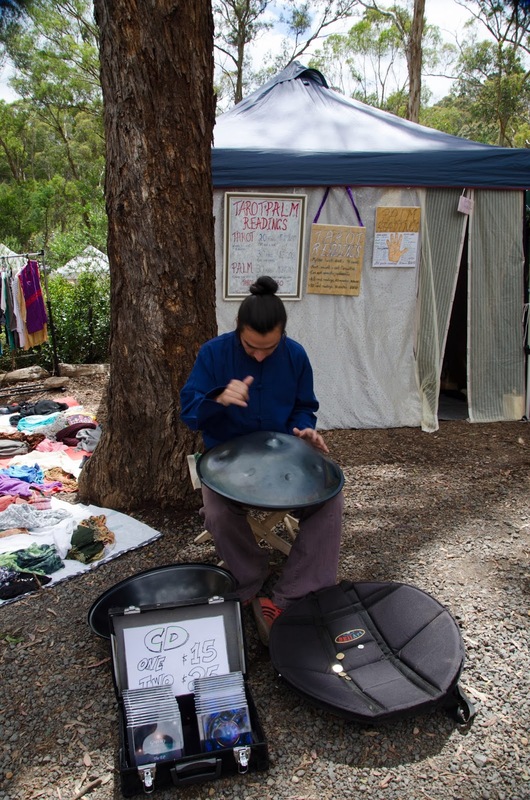 Located in the lower hills, to the north east of Melbourne, this hippy market draws crowds every Saturday. An exciting aspect of it is that the stalls are spread around a small area in the bush. Here you can buy food as well as handmade goods. I found the jewellery especially beautiful, some made out of leftover plastic, or metal. There were some great, original home decorations, too. 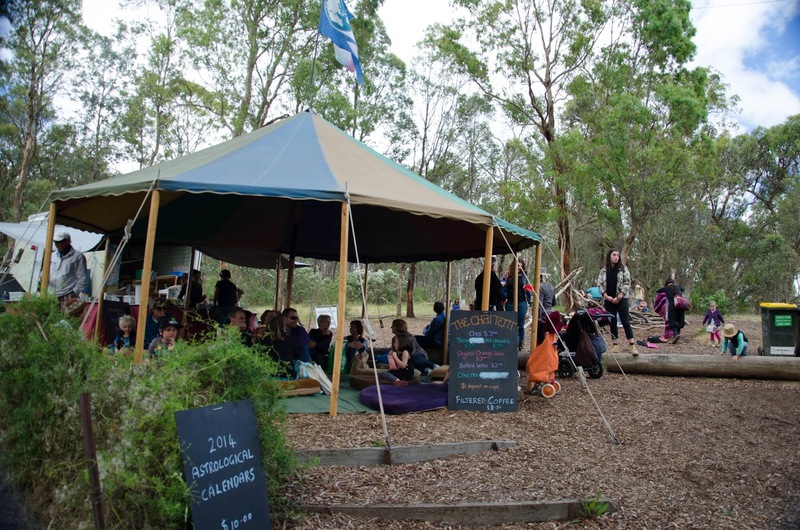 Those of you, who are more into the hippy philosophy can chill out in a tent, drinking decaf latte. The atmosphere is enriched by various street performers. Not sure what this instrument is called, but the sound was just great! 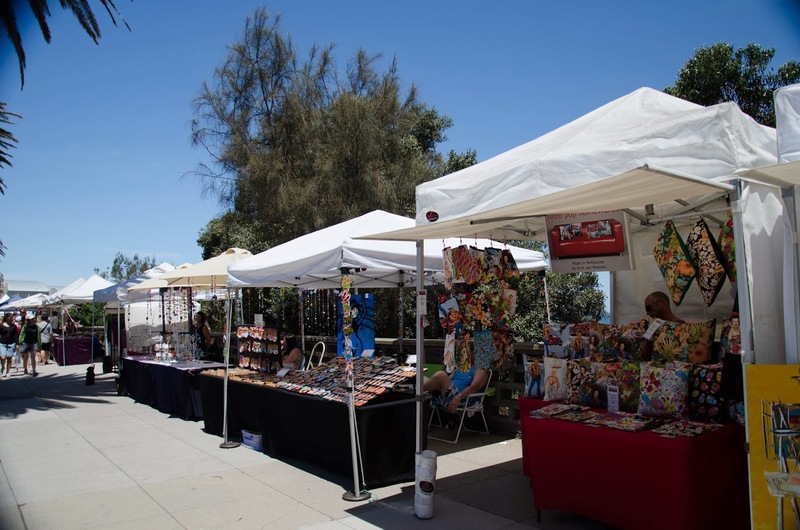 I chose this market because Sunday was my last day, it was hot and I wanted to spend a whole afternoon at the beach, where the market is located. The stalls are at the upper level, overlooking the whole beach. Here, the goods are more expensive, there are no second hands and the bargains are not really bargains. It is still great to walk around, especially because the path will lead you to the famous Luna Park.